We Welcome Randy McGaha to the CMC Family! What does your company use? 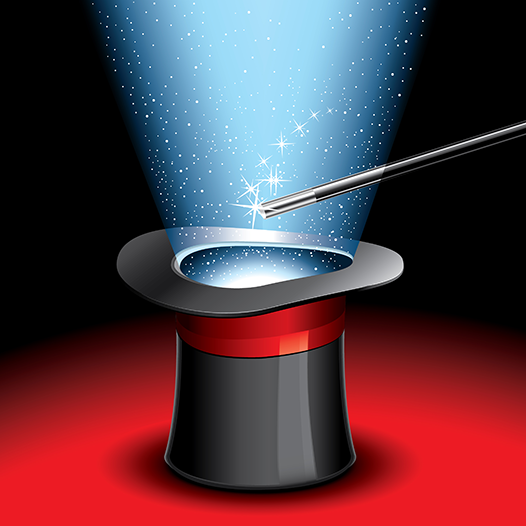 As a distributor of promotional products I am often asked, “What is that one magic product that really works?” The answer is simple: the magic is not in the product alone; it is in the marketing behind the product as well. Today’s e-commerce provides businesses with the convenience of purchasing promotional products online, but fails to teach the buyer how to effectively use the products to gain the edge over their competition and yield a profitable return on their investment. As a result, many businesses simply purchase products without giving thought to building a marketing message around the products. Developing a promotional marketing campaign is not unlike anything else we do in business; it simply takes a little time to craft a campaign that will create a buzz around your brand and deliver profitable results. What key factor(s) do you want your audience to know about your business? What sets you apart from your competitors? The answers to these questions should be the solutions your prospects are seeking. In just a few words, succinctly summarize your message. You have just 3-6 seconds to capture the attention of your audience, so get creative and keep your words short and snappy. After identifying your message and caption, the overwhelming process of choosing the right promotional products will now be much easier. Select products that support your message, fit your budget, and resonate with your audience. Now wave that magic wand, and Presto! You’re off to a great start for an effective promotional marketing campaign. Keep in mind, this is just the beginning, and there are many other factors to consider when creating your promotional marketing campaign. As qualified distributors, we will help you identify all critical areas of your marketing goals so that your campaign will not only work like magic, but will yield a greater return on your promotional marketing investment. 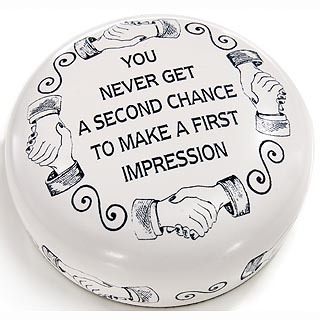 There’s a great deal of truth in the adage, “You never get a second chance to make a great first impression”. What better way to ensure a great first impression than by outfitting your staff in corporate clothing branded with your company’s logo. Corporate clothing showcases your brand by ensuring that your staff appears polished and always looking their professional best. Brand recognition is key to the success of any business, whether yours is a national brand or local brand. We all notice what others are wearing, so having your eye-catching logo on corporate clothing will not go unnoticed. Corporate clothing promotes camaraderie, unity, and a great feeling of team spirit and company pride. When staff members feel they are working together as part of a team, you will likely discover increased productivity and higher standards of performance. Featuring your logo on corporate clothing helps to establish credibility in the eyes of those who see it, and increases the confidence your customers find in the products and/or services you provide. Today’s corporate clothing goes beyond the basic polo offering a wide variety of trendy styles for an ideal professional image. Manufacturers are gaining inspiration from current retail trends and designing corporate clothing with a fashion-forward edge. Thus, there is much to consider with new fabric technology available, top name brands, and great attention to style and detail. And for all of your professional ladies, there is no need to worry because gone are the days of women having to wear a men’s inspired polo. Today’s corporate clothing includes polos tailored to give women a feminine fit. Additionally, ladies can choose options from a complete line of blouses, cardigans, jackets, and more. As your specialists in corporate apparel, we’re here to help you take your brand to the next level with stylish corporate clothing that’s sure to please every staff member. So, let’s work to ensure that your company won’t need a second chance to make a great first impression. Copyright © 2019 cmc marketing . All rights reserved.